At the moment I am saving for various different things including two holidays, a hen do, a busy August and a potentially expensive MOT so I am having to rather curb my spending habits. Knowing that a spending ban would probably be unsuccessful I decided instead to pick a few things I knew I wanted this month and not allow myself to buy anything else. I did a lot of overtime over the bank holiday in April so I wanted to treat myself but without the obligatory ‘walk round Primark/H&M etc grabbing at random garments’ shopping experience that leaves me full of things with tags on in my drawers I forget about until the next time I spring clean. Although I own a fair few necklaces, the ones I do own are name necklaces in acrylic, big ol’ anchor necklaces, and Tatty Devine-esque pieces that are lovely but wholly unsuitable for work. 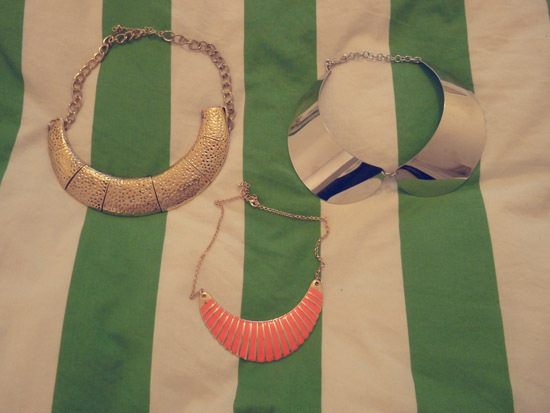 I love the collar necklaces that seem to be everywhere at the moment and I think these will be perfect for the office over a shirt with a high waisted skirt and heels. 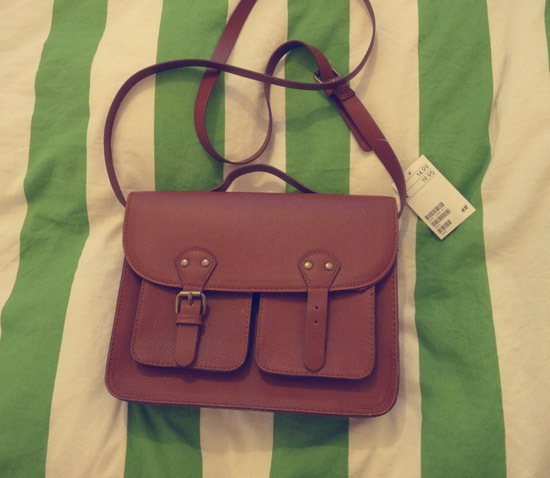 I’ve been desperate for a Cambridge Satchel for quite some time but don’t feel able to justify the pennies so when I saw this H&M satchel for £14.99 I knew it had to come home with me. It will be perfect for taking to work and stashing my iPod and Kindle in for the train journeys. Unfortunately, as you can quite plainly see from the photo (but I didn’t notice at the time) it is missing a buckle so it will need to be taken back tomorrow – annoying! 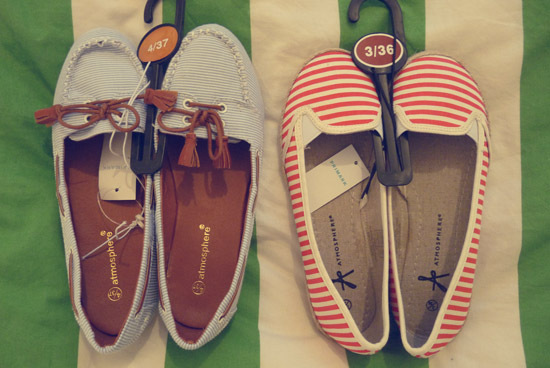 Obviously you all know by now I am a lover of all things nautical and I have been on the hunt for a while for some new pumps to wear with jeans and shorts (when the sun comes back) since my Sperry Topsiders are becoming a little worse for wear. I couldn’t resist these two pairs in Primark. 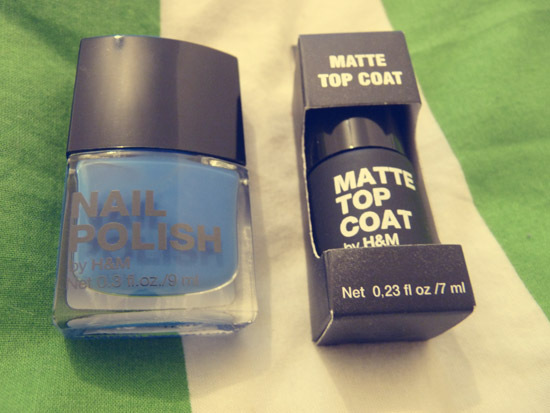 Actually it appears I’ve failed already as the blue polish on the left was a bit of an impulse purchase, but the matte top coat has been on the list for a while so I went and grabbed this one from H&M – 1.99, bargain! What’s on your list of must-haves this month?